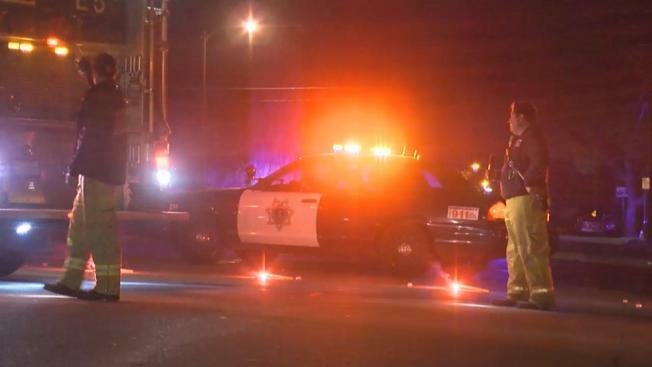 San Jose police are investigating a hit-and-run collision that left one man dead early Saturday morning. Officers were dispatched to East Hedding and 15th streets just after 3 a.m. on reports of a person down, police said. Investigators believe the man was on the road when a vehicle traveling eastbound on Hedding Street struck him. The driver fled, police said, noting that they have not yet identified a suspect. The victim was pronounced dead at the scene, but he won't be identified until his next of kin have been notified, police said. The hit-and-run marks San Jose's 42nd fatal collision and 44th victim of 2016. It is also the year's 18th fatality involving a car and pedestrian, according to police. People with information are asked to call Detective Kevin McMillin at 408-277-4654. Anonymous tips can be sent to the Crime Stoppers Tip Line at 408-947-7867.